Martin Vlcek is a full-time investor and analyst who has been actively investing and managing money for more than 15 years. Martin has an Economics degree. He currently works for an asset management company BH Securities, www.bhs.cz. Ideas and information expressed in his articles on SeekingAlpha are his own and don't represent an official BH Securities opinion. Martin is not an investment advisor. Information published in his articles and comments should not be viewed as investment advice or endorsement to invest in the financial instruments mentioned. Martin’s investment philosophy is to hold a truly diversified portfolio of investments across asset classes with low or negative correlation and a positive carry if possible. His primary stock investment focus is on undervalued stocks with upcoming catalysts and a favorable reward-to-risk ratio. Martin became a full-time investor and money manager after a 15-year career in online marketing where he was one of the pioneers of the pay-per-click search. Martin later held managerial positions at several Fortune 500 companies and also managed his own startup company. IMPORTANT DISCLAIMER: Martin is not a Registered Investment Advisor, Broker/Dealer, Securities Broker or Financial Planner. The Information in his articles, his comment and his premium subscription service on SeekingAlpha.com or elsewhere is provided for information purposes only. The Information is not intended to be and does not constitute financial advice or any other advice, is general in nature and not specific to any individual. Before using Martin's information to make an investment decision, you should seek the advice of a qualified and registered securities professional and undertake your own due diligence. None of the information provided by Martin is intended as investment advice, as an offer or solicitation of an offer to buy or sell, or as a recommendation, endorsement, or sponsorship of any security, company, or fund. Martin is not responsible for any investment decision made by you. You are responsible for your own investment research and investment decisions. Martin Vlcek is a full-time investor and analyst who has been actively investing and managing money for more than 15 years. Martin has an Economics degree. 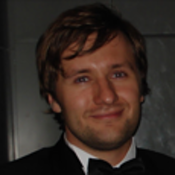 He currently works for an asset management company BH Securities, www.bhs.cz. Ideas and information expressed in his articles on SeekingAlpha are his own and don't represent an official BH Securities opinion. Martin is not an investment advisor. Information published in his articles and comments should not be viewed as investment advice or endorsement to invest in the financial instruments mentioned. Martin’s investment philosophy is to hold a truly diversified portfolio of investments across asset classes with low or negative correlation and a positive carry if possible. His primary stock investment focus is on undervalued stocks with upcoming catalysts and a favorable reward-to-risk ratio. Martin became a full-time investor and money manager after a 15-year career in online marketing where he was one of the pioneers of the pay-per-click search. Martin later held managerial positions at several Fortune 500 companies and also managed his own startup company. IMPORTANT DISCLAIMER: Martin is not a Registered Investment Advisor, Broker/Dealer, Securities Broker or Financial Planner. The Information in his articles, his comment and his premium subscription service on SeekingAlpha.com or elsewhere is provided for information purposes only. The Information is not intended to be and does not constitute financial advice or any other advice, is general in nature and not specific to any individual. Before using Martin's information to make an investment decision, you should seek the advice of a qualified and registered securities professional and undertake your own due diligence. None of the information provided by Martin is intended as investment advice, as an offer or solicitation of an offer to buy or sell, or as a recommendation, endorsement, or sponsorship of any security, company, or fund. Martin is not responsible for any investment decision made by you. You are responsible for your own investment research and investment decisions. Oil And Gas - How Bullish Is Seth Klarman Really? Will The Office Depot-Staples Merger Go Through? Will Alibaba Or Microsoft Buy Yahoo's Search Business? Workday: Will It Continue Rising? Oil Outlook Update: Saudi Arabia-Russia 'Deal?' What Deal? Should ON Semiconductor Raise The Takeover Bid For Fairchild?